Thank you to all the voters, supporters and volunteers who have shown their confidence in me and helped me win the election for the Windham-1 seat in the Vermont House of Representatives. I’m proud to have earned the support of local voters during my campaign, and I am incredibly honored to be able to represent and serve the towns of Guilford and Vernon in the state legislature. 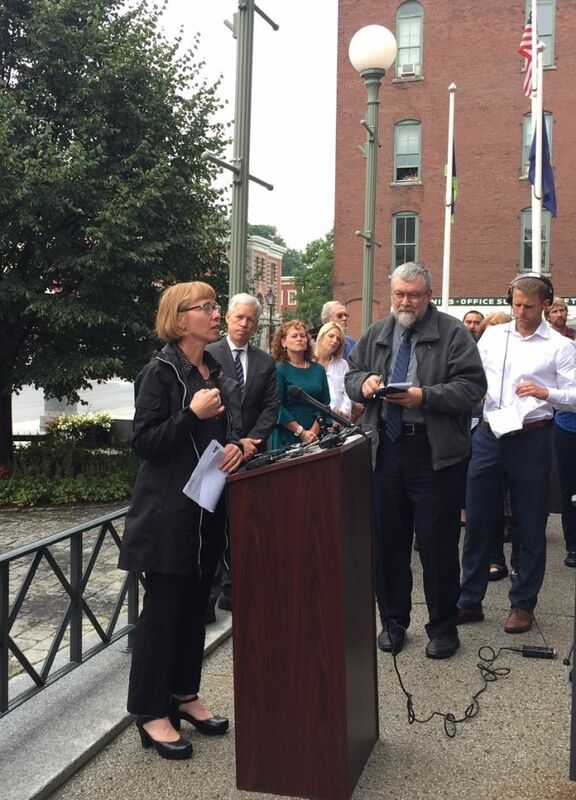 In November 2018, Sara Coffey was elected by the voters in district Windham-1 to serve the towns of Vernon and Guilford in the Vermont House of Representatives. As legislator, Sara will bring fresh ideas and an entrepreneurial spirit to the legislature in Montpelier. 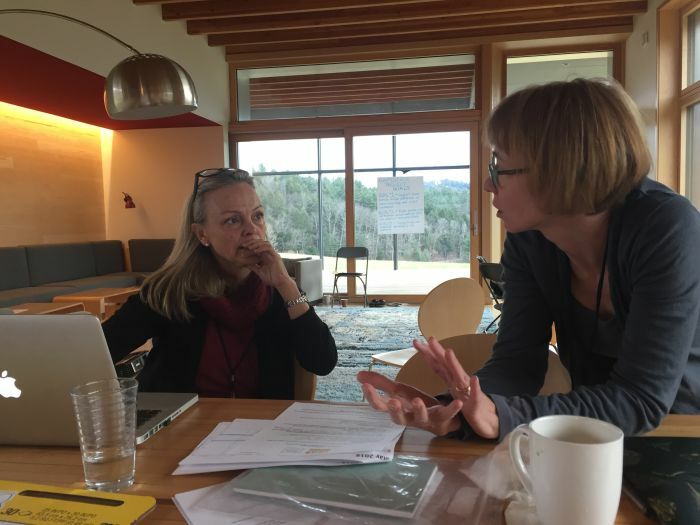 She will listen and work energetically on behalf of her constituents to help build strong, integrated systems of support that address important issues facing rural Vermont families. Sara received endorsements from many local community members during her campaign. Check out Sara's Endorsements page to see all of the statements. "I grew up in Guilford in a farming family that has been working the land for over ten generations and I first met Sara many years ago volunteering at the Sugar on Snow Suppers at the Grange. When Sara told me she was running for office I could not have been more excited. Sara cares deeply about Guilford and Vernon, the people who live here, and the traditions of our farming families. She’ll bring innovative ideas to the legislature, ask hard questions, listen to her constituents, and make good choices on our behalf. In my line of work, which is policy advocacy and education, we often talk about blockers and builders. Blockers are the people who are particularly good at stopping bad policies from being passed; whereas builders have a vision for the future and are good at working with people to achieve that vision. Sara is a builder if I ever met one." Sara is an experienced leader and community builder with more than two decades of organizational management, community organizing, and public advocacy experience. Sara grew up in a large working class Irish family outside Boston where she was active in her community as a volunteer and student leader. She first came to Vermont to earn an undergraduate degree from Marlboro College and the School for International Training. Sara then went on to earn a M.A. in Performance Studies from NYU, and after 15 years of working in the nonprofit cultural sector in New York City, she returned to Southern Vermont in 2004 with her husband to raise their two small children and start two businesses: Guilford Sound and Vermont Performance Lab. Sara is the founder and Director of Vermont Performance Lab, a community-based organization that links art-making with civic engagement. Over the past decade, Sara's program leadership at Vermont Performance Lab and her innovative approach to building community and civic dialogue through the arts has been recognized by the Andrew Mellon Foundation, the National Endowment for the Arts, the New England Foundation for the Arts, the Vermont Arts Council, and the Vermont Community Foundation. Sara has been an active volunteer in her community, serving on the several school associations and boards including Marlboro College and the Governor’s Institutes of Vermont. She has been an active member of the Broad Brook Grange, Guilford’s 250th committee, and most recently as the President of the Broad Brook Community Center, where she has been working with the community to steward a $1.2 million campaign to transform Guilford’s grange hall into a vibrant community center. She has twice been elected as Justice of the Peace in Guilford and currently serves on the Board of Civil Authority. 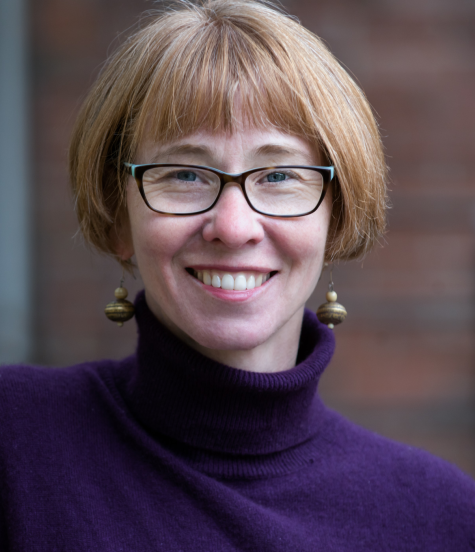 Sara also serves as Co-Chair of the New England Foundation for the Arts’ Advisory Council, and she is a member of Emerge Vermont's Class of 2018. Sara lives in Guilford with her husband Dave Snyder and their two teenage children Izzy and Daniel. 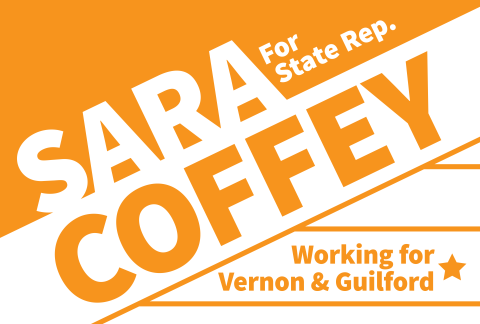 As your State Representative, Sara will do everything possible to ensure that the people of Vernon and Guilford have a strong voice in Montpellier. Sara and her campaign have been featured in sources including The Brattleboro Reformer, VT Digger, The Commons and more. In addition, during her campaign many local community members wrote letters to the editor in support of Sara's candidacy. Check out her News page to see all the coverage!